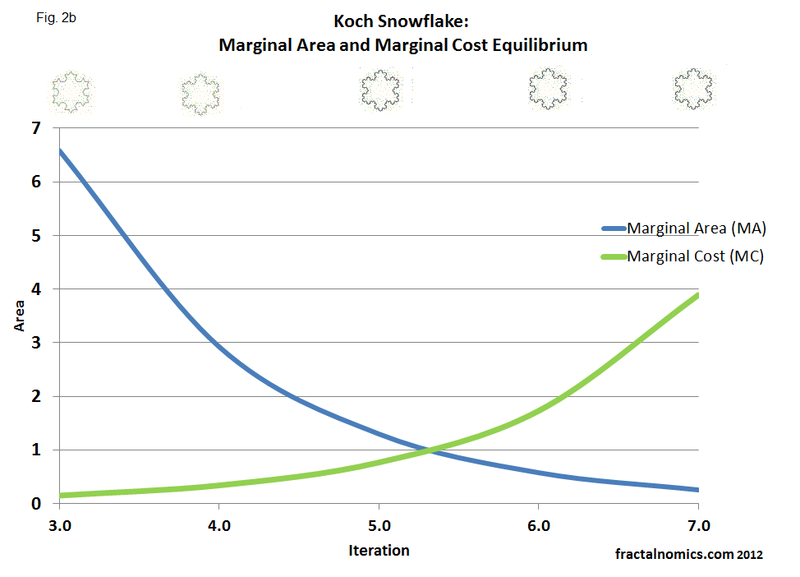 This entry is an addition to my earlier work on fractal marginal utility, something I have been reluctant to add due to the consequences of such a statement. 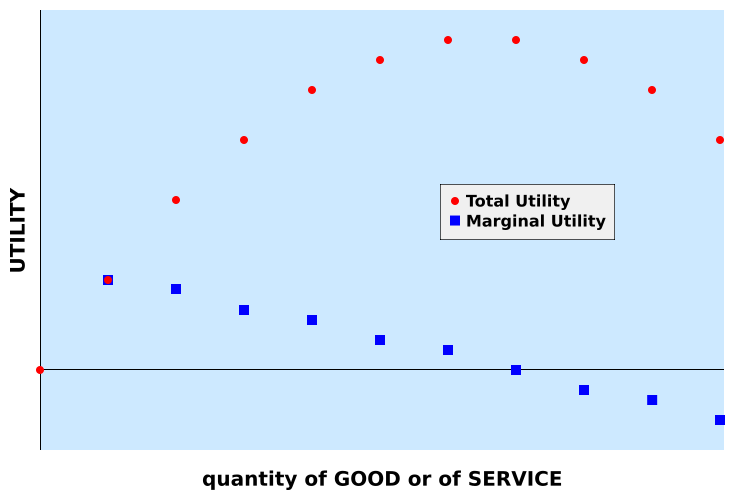 I am convinced that that negative marginal utility is misattributed: that the MU curve does not go negative as shown below. 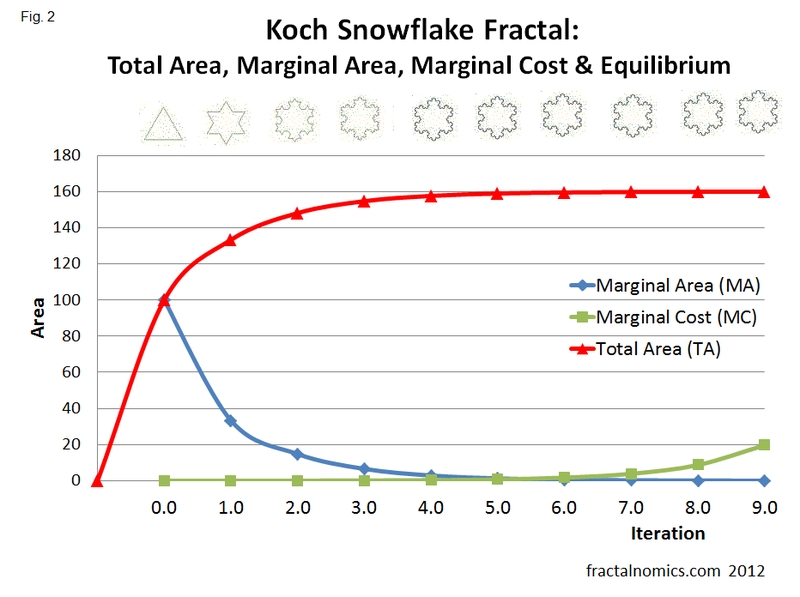 The fractal shows us that production and benefit go together are never seperated, you cannot have one without the other. 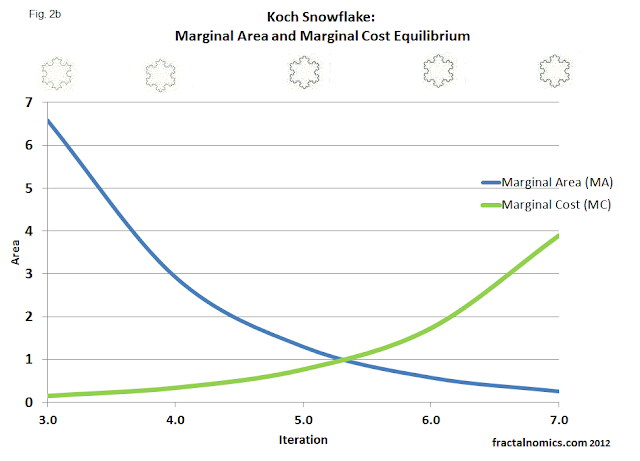 The increasing marginal cost (MC) after fractal equilibrium, (green in Fig. 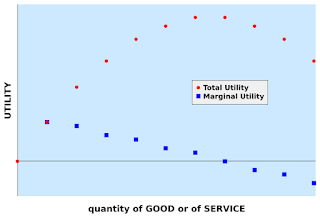 2 and 2b below), is more than enough to account for this 'negative marginal utility'. 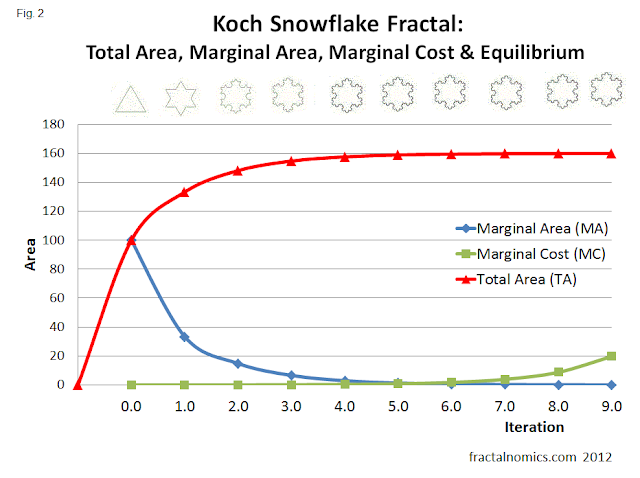 The cost rises - greater than the satisfaction or benefit -after fractal equilibrium : this is feeling of being ill after excess consumption, of having had too much of something.